Making candlesticks is surprisingly easy and inexpensive. The only supplies you'll need to possibly purchase are the wax and the string for the candlewicks. You can melt the wax in any sort of heat-resistant metal container. Dipping the candles does take time, but the process is easy enough for a child to do. Because of the hot wax, children should be under strict supervision. 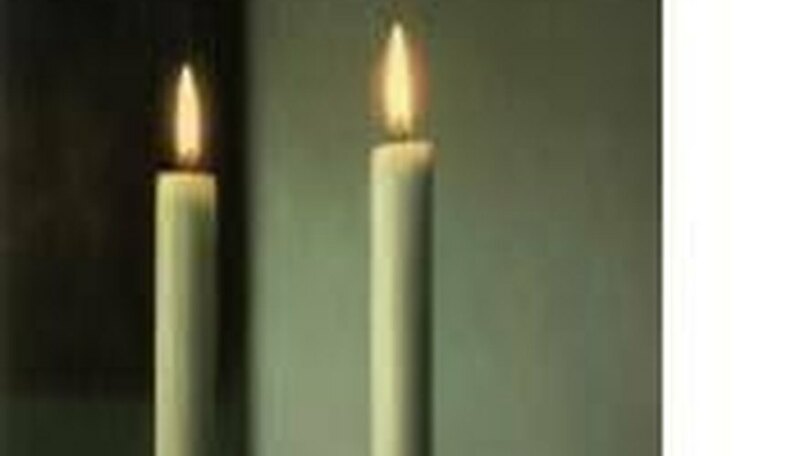 This type of candle is often made in pairs. If you cut the string long enough, you can make two candles, with one on each end of the string. Melt the wax in a metal tin or container. The container will need to be heat-resistant, so it will have to be something thicker than a pop can. An older coffee tin would work, or possibly a cleaned-out paint can. Simply dump the chunks of wax into the container and stir it over a low heat until the wax is melted. You'll need to keep the wax warm while you work, or it will harden. Dip a piece of string into the wax. Make sure the string is long enough for you to make the size candle you want and still be able to hold on to the end. If you decide to make two candles, the string should be twice as long. Pull out the string slowly and straighten it. Give the wax a second to dry before dipping it again. Each time you dip the string into the wax, it will add another layer to the candle. While the layers of wax are still thin, you'll need to straighten the bottom of the string to keep the wax from getting clumpy. The wax will be easy to mold and remove when it is still warm and soft. Repeat steps 2 and 3 until the candle is the thickness you want it to be. Tie the end of the string to a branch or rod that will allow the candle to suspend in the air. Leave the candle there so the wax can set completely. It will need to be in a cool place. If you hang it out in the sun, the wax will melt off the string. For a different look, melt multiple colors of wax and create layers in your candlestick. You can do this by starting with one color, then dipping into another color after you get a desired thickness. The wax won't mix in the candlestick; it will remain layered. You will be working will hot wax on a heated surface. Be extremely carefully not to burn yourself. Children should not be left unattended during this project.